What is the cheapest way to get from Nakamanda Resort & Spa, Klong Muang Beach to Krabi Airport (KBV)? The cheapest way to get from Nakamanda Resort & Spa, Klong Muang Beach to Krabi Airport (KBV) is to drive which costs ฿90 - ฿140 and takes 32m. What is the fastest way to get from Nakamanda Resort & Spa, Klong Muang Beach to Krabi Airport (KBV)? The quickest way to get from Nakamanda Resort & Spa, Klong Muang Beach to Krabi Airport (KBV) is to taxi which costs ฿500 - ฿650 and takes 32m. How far is it from Nakamanda Resort & Spa, Klong Muang Beach to Krabi Airport (KBV)? The distance between Nakamanda Resort & Spa, Klong Muang Beach and Krabi Airport (KBV) is 26 km. The road distance is 32.7 km. How do I travel from Nakamanda Resort & Spa, Klong Muang Beach to Krabi Airport (KBV) without a car? 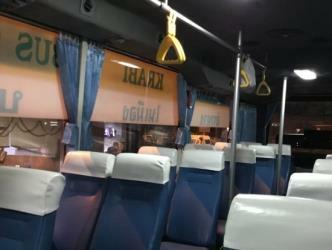 The best way to get from Nakamanda Resort & Spa, Klong Muang Beach to Krabi Airport (KBV) without a car is to bus which takes 59m and costs ฿360 - ฿410. How long does it take to get from Nakamanda Resort & Spa, Klong Muang Beach to Krabi Airport (KBV)? It takes approximately 59m to get from Nakamanda Resort & Spa, Klong Muang Beach to Krabi Airport (KBV), including transfers. Can I drive from Nakamanda Resort & Spa, Klong Muang Beach to Krabi Airport (KBV)? Yes, the driving distance between Nakamanda Resort & Spa, Klong Muang Beach to Krabi Airport (KBV) is 33 km. It takes approximately 32m to drive from Nakamanda Resort & Spa, Klong Muang Beach to Krabi Airport (KBV). Where can I stay near Krabi Airport (KBV)? There are 767+ hotels available in Krabi Airport (KBV). Prices start at ฿665 per night. What companies run services between Nakamanda Resort & Spa, Klong Muang Beach, Thailand and Krabi Airport (KBV), Thailand? 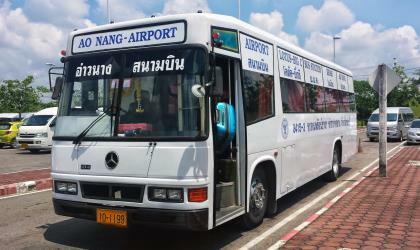 Krabi Airport bus operates a bus from Nakamanda Resort & Spa, Klong Muang Beach to Krabi Airport (KBV) every 4 hours. Tickets cost ฿149 - ฿150 and the journey takes 45m. Rome2rio's Travel Guide series provide vital information for the global traveller. Read our range of informative guides on popular transport routes and companies - including Getting to Milan from the airport, How to get from Southend Airport into central London and 10 amazing places to get away from it all in Australia - to help you get the most out of your next trip. Railay (Thai: อ่าวไร่เลย์), also known as Rai Leh, is a small peninsula between the city of Krabi and Ao Nang in Thailand. It is accessible only by boat due to high limestone cliffs cutting off mainland access. These cliffs attract rock climbers from all over the world, but the area is also popular due to its beautiful beaches and quiet relaxing atmosphere. Accommodation ranges from bungalows and medium-priced resorts in East Railay to a collection of luxury resorts focused on West Railay, though one, Rajavadee, spans both waterfronts and also has a beachfront restaurant at Ao Phra Nang. The four main areas of Railay consist of Phra Nang, West Railay, East Railay, and Ton Sai. Ton Sai caters to climbers and the backpacker set and is more rustic in character than the glitz of West Railay and the shops and restaurants of the East Railay boardwalk. Khao Phanom Bencha National Park (Thai: อุทยานแห่งชาติเขาพนมเบญจา) is a national park in Krabi Province, Thailand. The park is named for Khao Phanom Bencha mountain and protects an area of virgin rainforest and rare wildlife. Ko Poda is an island off the west coast of Thailand, in Krabi Province, about 8 km from Ao Nang. It is part of the Mu Ko Poda, or Poda Group Islands, which are under the administration of Hat Nopharat Thara-Mu Ko Phi Phi National Park. The group consists of Ko Poda, Ko Kai, Ko Mo and Ko Thap. 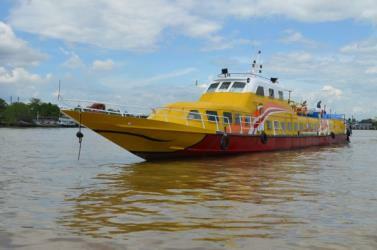 Rome2rio makes travelling from Nakamanda Resort & Spa, Klong Muang Beach to Krabi Airport (KBV) easy. Rome2rio is a door-to-door travel information and booking engine, helping you get to and from any location in the world. Find all the transport options for your trip from Nakamanda Resort & Spa, Klong Muang Beach to Krabi Airport (KBV) right here. Rome2rio displays up to date schedules, route maps, journey times and estimated fares from relevant transport operators, ensuring you can make an informed decision about which option will suit you best. Rome2rio also offers online bookings for selected operators, making reservations easy and straightforward. Need an airport transfer to Krabi Airport?